Although we do not know anything about D. T. Dawson, William Deane was most probably the son of musician John Philip Deane. The Deane family moved to Sydney from Hobart in the 1850s after the latter man spent a short time in prison for an outstanding debt. In Hobart, Deane senior was variously a merchant, hotel proprietor, auctioneer, music teacher and theatre performer. 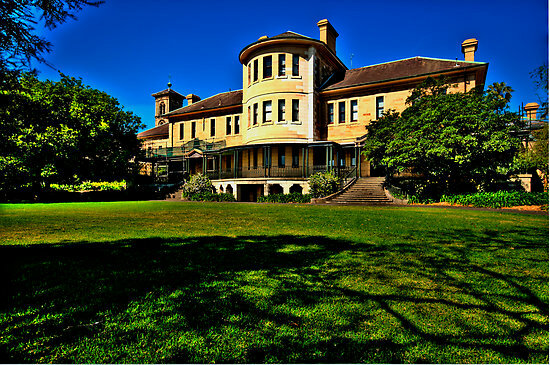 For a short time he owned Broughton Hall Rozelle, purchasing the property from solicitor, magistrate and coroner, John Ryan Brenan. Deane senior became a leading light in the musical world of Sydney. William was born in Hobart in 1826 and akin to his father, was a speculator of sorts. He became a solicitor but dabbled in money lending. An advertisement in the Sydney Morning Herald stated he loaned small and large sums of money to purchasers of freehold property, and - quite sensibly - preferred to lend the money for property located in the city. In 1861 William married Mary Constance Smith the daughter of (then deceased) John Smith Esq. of Queensland. Various newspaper reports illustrate that William moved in the upper class circles of the day. For example when Sir John Young arrived in Sydney in March 1861 William was among the invited guests. Others guests included members of the military and various church organisations as well as city aldermen. He attended another ‘levee’ in 1863 together with members of the Senate of the University and the Bar, army and naval officers as well as men like John Fairfax, Alexander Greville, Anthony Hordern junior and George Knox. By 1889 William was involved with the Burwood Land Building and Investment Company. In 1903, William, as principal, was the defendant in action taken by City Bank Ltd against the building company. William placed a notice in the Sydney Morning Herald in August of 1900 stating that he would not be responsible for the debts of his wife Mary Deane. And in 1903, another notice appeared stating the partnership between William and Henry Deane had been dissolved but his son, William Smith Deane and Henry William Younger Deane had set up a solicitors practise. William died in Burwood in 1910. As well as the 1,725 acres at the Valley, the Deane family owned property in Blaxland where the old Pilgrim Inn once stood. Today it is the site of McDonalds, and remnants of the chimney stack are all that remain of the inn. The Parliamentary Return of Landholders 1885 showed that 12 horses and 20 head of cattle occupied the property at the valley. A map of the area in 1905 shows that the area had been carved up into smaller allotments, and that Rosalie Deane (thought to be William’s sister) George Sheppeard and William Boyles, owned significant amounts of property. Although no evidence appears to suggest that the Deane’s resided at the Valley, local newspapers record various sporting events, functions and musicals entertainments where members of the Deane family took part right up until the twentieth century. In order to discover why William had an inordinate amount of land in comparison to other residents in the area would require a full search of the title of the land. 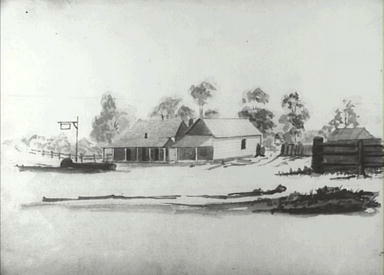 Graeme Skinner, ‘John Philip Deane,’ Dictionary of Sydney, http://dictionaryofsydney.org, accessed 21.10.2010. The Wolanski Foundation, ‘Australian Culture 1789-2000: Musical Life,’ http://pandora.nla.gov.au, accessed 31.1.2010. 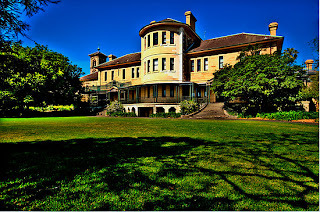 Peter Reynolds, ‘Broughton Hall Psychiatric Clinic,’ 2008, Dictionary of Sydney, http://dictionaryofsydney.org, accessed 10.1.2011. NSW Indexes of Births, Deaths & Marriages. Parliamentary Return of Landholders 1885. Department of Lands, Parish map of Coomassie, parishmaps.lands.nsw.gov.au, accessed 20.2.2011.